This was an illustration done for The New Yorker article "Trump’s Response to the Pittsburgh Synagogue Shooting and His Obsession with the Word “Frankly”." I chose to focus on the idea of Trump believing he is the only one who knows the truth and the only one willing to show it to America. 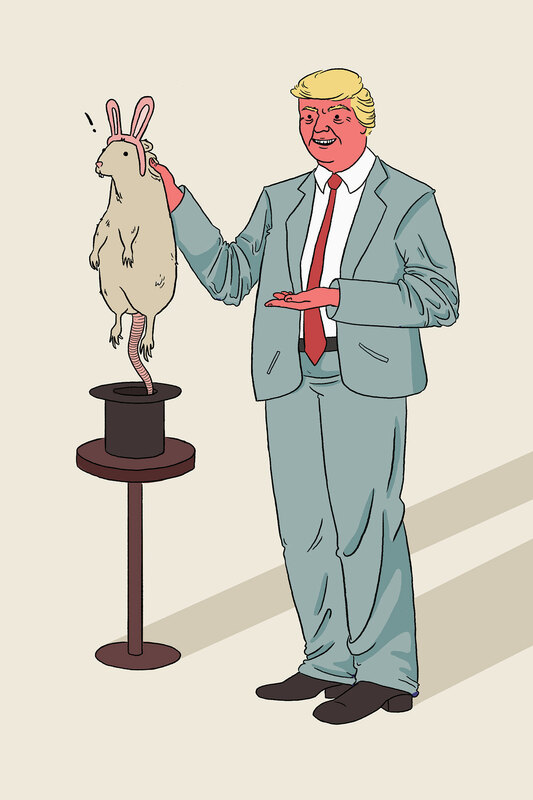 Depicted is a large rat with fake bunny ears on that came from a magician's hat, being held up by Donald Trump.